Pumpkin demands warm, fertile soil for growth. Soil pH should be 6.0 to 6.8. Plan to give each vine at least a 3-foot diameter mound, or hill, of warm, enriched soil. 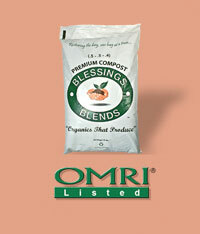 Enrich soil by digging a hole about the size of a bushel basket and working Blessings Blends OMRI-Listed Premium Compost (.5 – .5 – .4) into the soil you removed from the hole. Test your soil every year or two to determine how to amend it for ideal pumpkin growth. 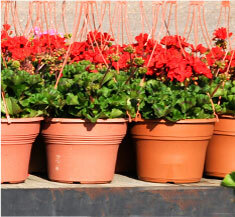 Avoid adding nitrogen “just in case,” because too much nitrogen causes vines to produce leaves at the expense of flowers.I n cool climates, warm the soil a week before planting by covering it with a piece of black plastic. To plant your pumpkin seedlings, cut a hole in the plastic and plant through the hole. When two or three fruits on each plant reach the size of softballs, remove all but the most promising one and start to prune the pumpkin plants. After the primary vine has reached 20 feet, pinch off the tips and the side shoots so the vines won’t divert resource from the fruit. Break off all the other female flowers. The work of the plant now must go entirely toward nurturing this fruit alone.